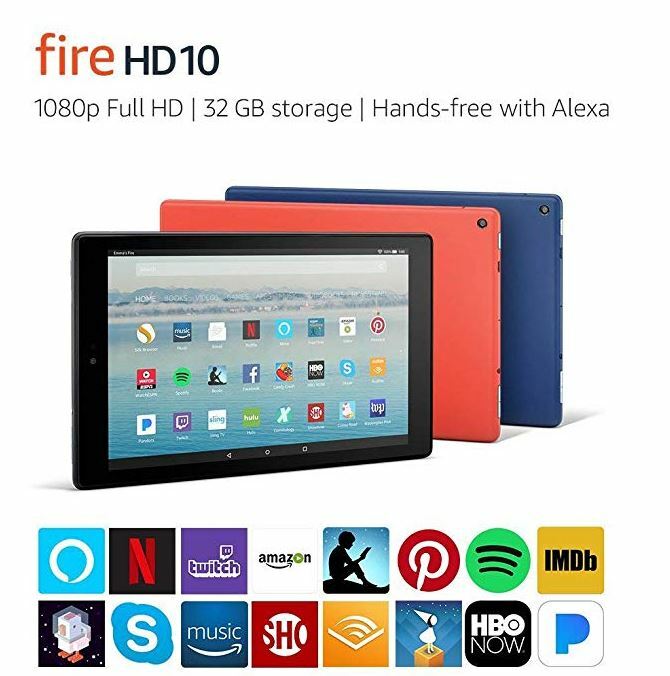 Get the Fire HD 10 Tablet with Alexa Hands-Free, 10.1″ 1080p Full HD Display, 32 GB for the Black Friday Price of $99 Shipped (Retail $149.99)! -Brilliant 10.1″ 1080p Full HD display (1920 x 1200), up to 1.8 GHZ quad-core processor, 2 GB RAM, and up to 10 hours of battery life. -32 or 64 GB internal storage expandable by up to 256 GB (using the microSD slot). Watch downloaded videos anywhere with a Prime membership, Netflix plan, or Showtime subscription.